This cute Easter basket is completely edible! 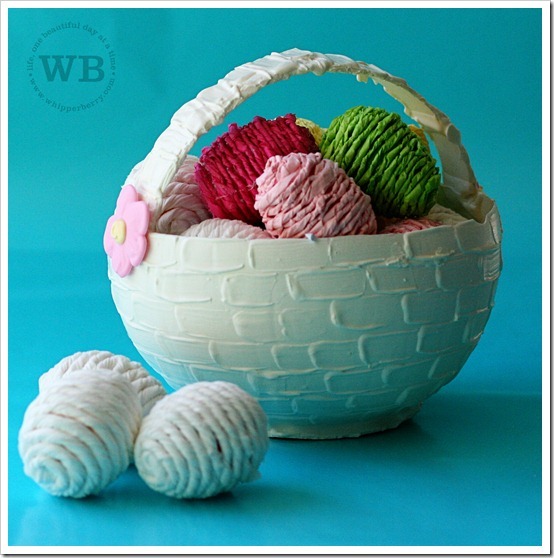 Emily from Whipperberry shared how she made this white chocolate treat using the chocolate balloon bowl method. She filled hers with yarn covered eggs, but I think a smaller version would make a perfect bowl to serve your Easter dessert. You can read about how she made it over at Kiki Creates. Oh, thank you for featuring my basket! I am so flattered! Have a great week! Pretty sure I want to eat this. But I'm saving room for something scrumptious in Kentucky.